Much has been said about George Soros. How his “tentacles” reach all over the World, influencing Politicians and Governments alike including the “United Nations” (the epitome of an oxymoron) and particularly the EU. In his home Country of Hungary he and his “organizations” have been virtually banned. He is a devotee of the “Church of One World Order”, which would mean an end to sovereignty, but only in Nations that hold free elections. Soros is content to leave the Oligarchs of Russia and China to themselves as they already suppress what he considers most dangerous: free and independent thought. While Barack Obama held office, Soros was closing in on the United States as well. With the advent of Donald Trump, that, at least for now, has come to a halt. Trump represents everything he hates most, Nationalism and Free Market Capitalism. Soros and his “minions” were caught unawares in the 2016 elections. Since then he has used every means at his disposal to reverse that. While he may not have direct control over the Media yet, he doesn’t need to, the majority of News outlets share his vision. He and his disciples preach diversity and to that end support open borders and unlimited immigration in attempt to destroy the culture of the “host” countries. Tradition, culture, and history are the “glue” that binds a Nation together, without them, chaos and anarchy ensue. One need look no father than Europe to see the results. By opening the floodgates to open migration within the borders of the EU, those coming in have no loyalty to the places they now occupy and most have no desire to acclimate, let alone assimilate. Many are unskilled and instead put financial stress on the local economies because rather than a desire for work, they’ve come for a free ride. Add to the mix the language and educational barriers which force school systems into a position of teaching remedial skills to people who should already posses them. The end result, the stagnation of education itself. And so it goes, down the line. Like the “holding tanks” on the Titanic, if the situation remains unchanged, Western culture will fail and sink. That’s the intended goal and so far, with one exception, it’s been succeeding. Soros is nothing more than a shameless parasite who hides behind groups that on the surface, would appear to support those whose name they bear. At a glance, it appears to be a Pro Jewish organization, though it’s clearly left of center. It was established by Alexander Soros, son of George. It’s intent is to support left leaning candidates all of whom are of course Democrats. While it is a Jewish PAC, Bend the Arc, like it’s founder and his Father, do not support the State of Israel. Quite the contrary. It made the spotlight last week when it came out against President Trump and his visit to Pittsburgh following the shooting at the Temple in Squirrel Hill. They claimed to speak for the Jewish community as a whole in its opposition to the President and his policies, and laid blame for the massacre soley at the feet of Donald Trump. His conspirators in the Press let their statements stand without revealing their underlying source. Because of his ethnic background the Media declared criticism off limits equating it with Anti Semitisim. Yet Soros himself is an Anti Semite. He’s openly and unabashedly admitted to working with the Nazis against his own at the behest of his Father. It has also just come to light that as suspected, he’s among those funding the Caravan of immigrants headed to the United States, which his friends in the Media continue to deny. The Press seeks not only to immunize him from his critics, it’s complicit in covering his tracks. He continues to try and derail Britain’s exit from the EU, while doing his best to destroy anyone who stands against him. Though unelected, he weilds more power than most World leaders. With the majority of paid Media in his “back pocket”, it is left to Fox, Talk Radio and Citizen Journalists to expose him for what he is. Soros recognizes the threat, and is using his legions in an attempt to silence our voices on Social Media. 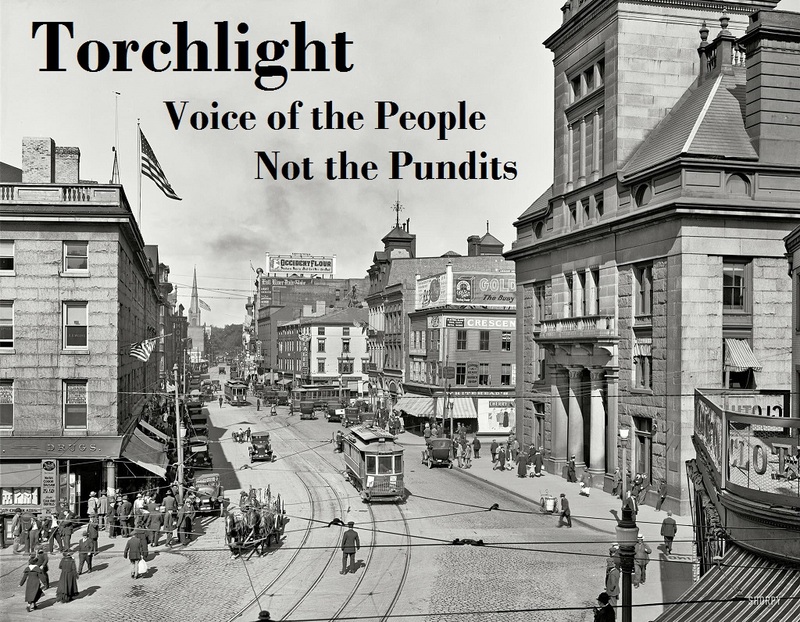 Without fear and so long as breath remains, Torchlight will continue to shine the light of truth on the “Cockroaches” who would put an end to Democratic Republics, here and throughout the Western World. “Soros recognizes the threat and is using his legions in an attempt to silence our voices on Social Media,” How true, Mr. Rizzuto. I just found out Facebook “disabled my account” for hate speech, simply for making the public aware of the atrocious, thug, actions of ANTIFA. Seems they sided with ANTIFA, who is a true hate group, and “silenced me” for exposing what those animals really are. I managed to reinstitute my account, with much reluctance, but as TORCHLIGHT points out in this article, as” long as Breath Remains” within those who Seek to Expose the Truth, we will continue on in our Quest to outline the corrupt Evil forces bent on annihilating our Freedoms. If we don’t speak up now for what is right, we will be forever silenced. That is something WE as a people must never, ever Allow! Thank you Judith, well said.